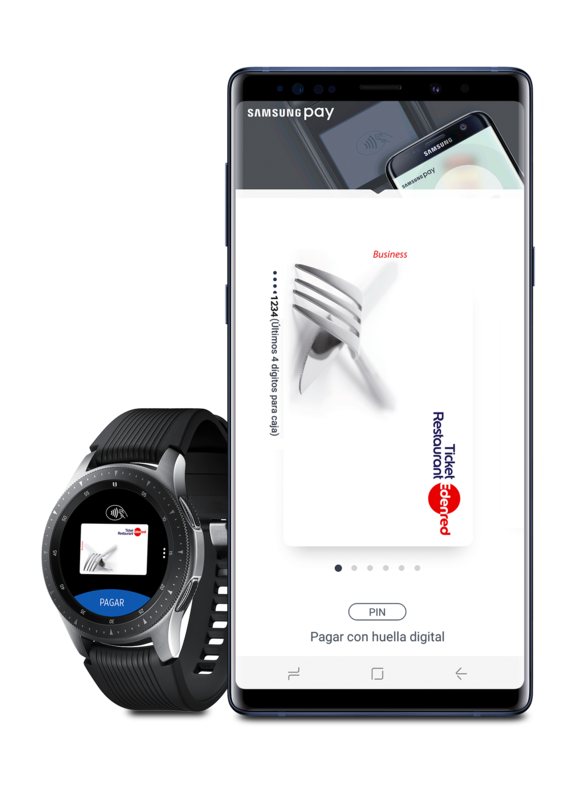 As happened with Apple Pay in December 2016 and Google Pay in September 2017, Edenred Spain has again become a pioneer in mobile payment by signing a partnership with Samsung Pay in January 2019. Spanish Ticket Restaurant beneficiaries now have a new payment solution on their smartphones. Following the signing of the partnership agreement, beneficiaries simply need to download the Samsung Pay app onto their smartphones. By linking their Ticket Restaurant card, they can now pay for their lunch quickly and easily with their smartphones using contactless technology. Spain is the country with the highest adoption rate of mobile payment in the Group. The Spanish are amongst the most connected Europeans, with a local penetration rate of almost 95% on the smartphones market. More than 90% of merchants have also adapted to the demand by accepting contactless payments on their terminals. “The agreement with Samsung is one more example of how the Edenred Group has continued to evolve, betting on technological innovation to respond to the new consumption habits of Spaniards,” says Pierre Gagnoud, Managing Director of Edenred Spain.